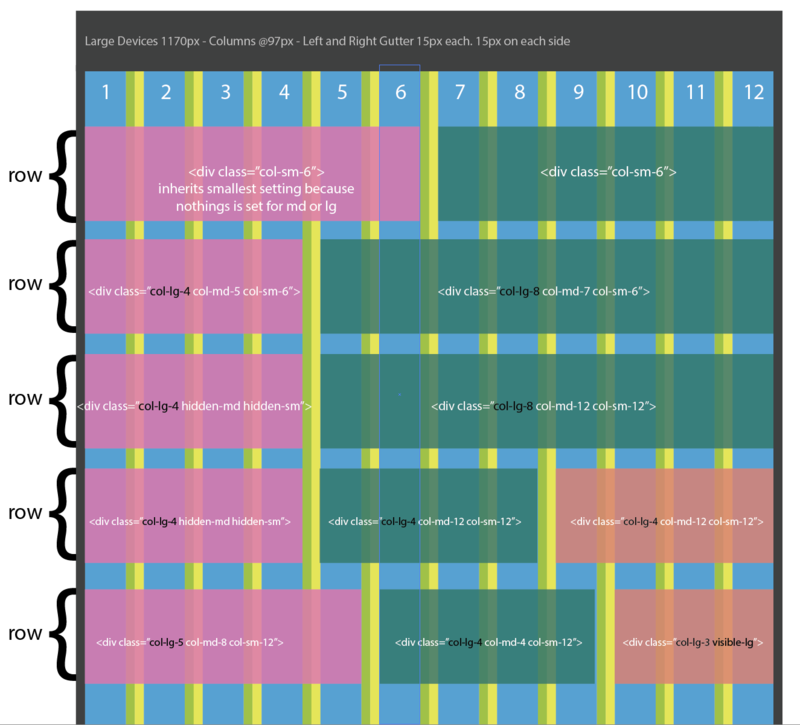 I’ve made an Adobe Illustrator Template that should help you understand how the Columns Work in Bootstrap 3 across the different responsive sizes. 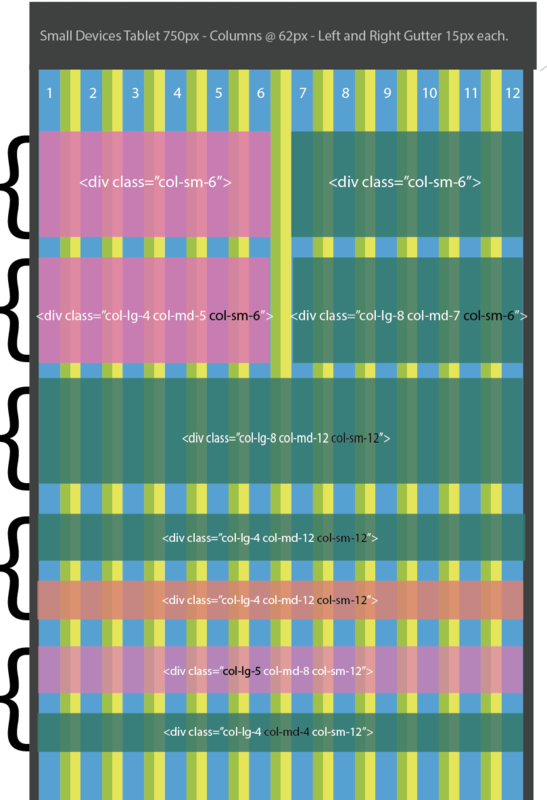 I created this illustrator template to share with a designer that couldn’t quite grasp how the Bootstrap resizes a column based on the media query. What are the sizes for Bootstrap 3 Columns? 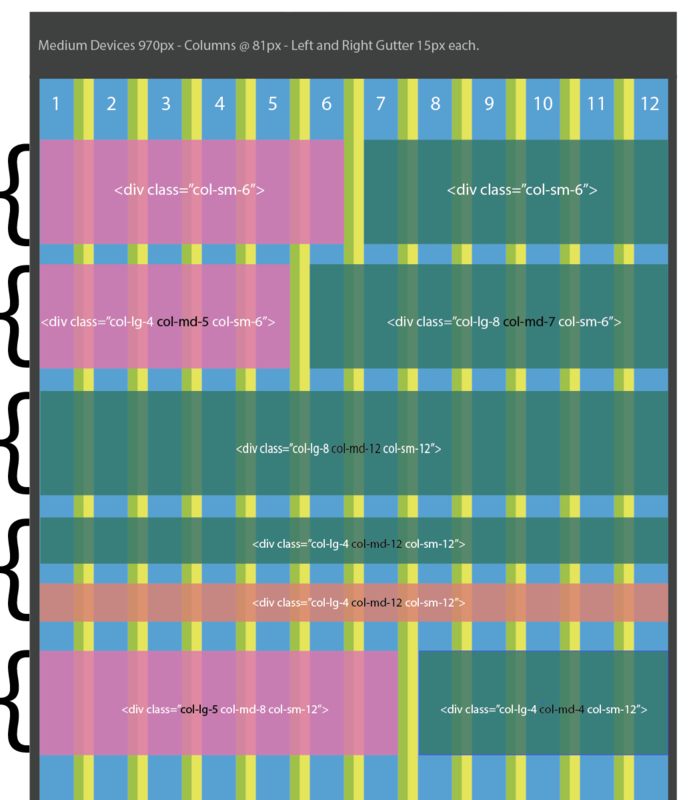 In all of the above sizes, Bootstrap uses 12 columns. The column widths are approximations used to help you design. This is because the actual math is based on percentage. Keep in mind that the column height is automatically adjusted by the content within the div. So these samples would most likely be much taller.